Let's Stamp! : Happy New Year! I hope you have all had a wonderful Christmas and are relaxing after the big celebrations of new year! We don't really celebrate New Year in any big way but spend the evening celebrating with friends, swapping resolutions and predictions for the year ahead (and of course looking back on the ones we made last year). One of my resolutions in 2009 was to spend more time making cards and scrapbooking. I think I can safely say I managed the first part but my poor scrapbook is looking rather neglected - something I need to combat in the next couple of months! What better way to start the new year than with some gorgeous new exclusive stamps, and best of all you can get them for free! I am so excited about this year's Sale-a-bration. The stamps are gorgeous and I know you will love them too. From the 1st January till 28 February, your purchases can earn you free stamps! The stamp sets are only available during Sale-a-bration and will not appear in any of the future catalogues. There are three ways that you can benefit during Sale-a-bration. 1. Spend £45 in products (before shipping costs) and earn one free Sale-a-bration stamp set of your choice! 2. Host a workshop of at least £300 (before shipping costs) and earn one free Sale-a-bration stamp set of your choice in addition to the generous hostess benefits! That's on top of any stamp set you've already earned from your personal purchases! 3. Join. 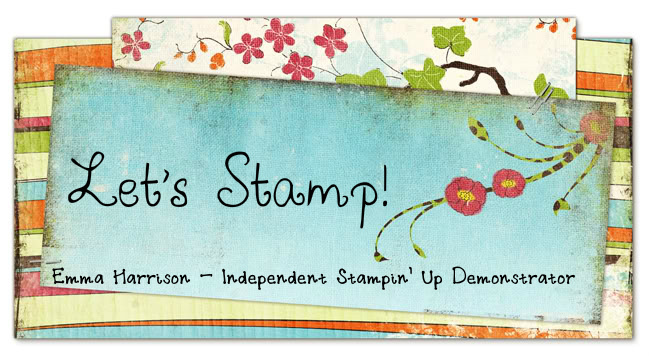 Would you like to have the benefits of being a Stampin' Up! demo and be one of the first to see the new releases? Well, if you join my team during Sale-a-bration you can choose one stamp set up to the value of £44.95 from the Idea Book & Catalogue for FREE! If you'd like to take advantage of this offer then give me a call or drop me an email and I'll happily talk to you about the benefits of being a demonstrator.